The game was originally scheduled for Saturday 12th September but was called off after overnight rain, but it goes ahead this afternoon as the two early season strugglers face each other. 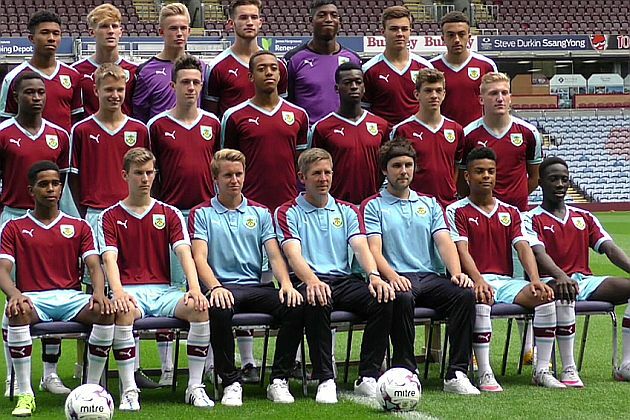 Last season the young Clarets did the double over Morecambe. We beat them 2-1 up at Slyne-with Hest, coming from behind to win with goals from Christian Hill and Ntumba Massanka. The return saw the Clarets win 3-0 at the beginning of October. Khius Metz, Brad Jackson and Brandon Wilson were the scorers on that occasion. Kick off this afternoon at Belvedere is 1 p.m.